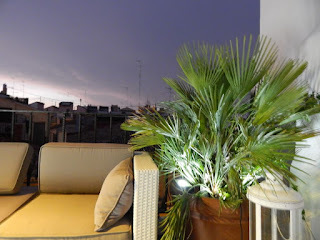 The very cool, very well appointed and very well located LOFT DE LUJO, located in the heart of Valencia, is the perfect place to relax after a long walk or have a great night's sleep after a day enjoying the sites and sounds of one of Spain's oldest cities. The host met us at the door and assisted with our luggage into an 800 plus square foot loft with everything you need for a relaxing and refreshing stay in the historic district of this city of in excess of 1.7 million. It's location is perfect for walking to sites close by and has the usual things we have come to expect in highly rated AIRBNB places - great bed, huge shower and interesting modern design overlaid in an older building. The Europeans do this better than we Americans. And the owner was so helpful with his map and list of places, showing us the best places to eat and how to get around via train and bus to see the sites. We gave this place and the host a 10+ rating. Another benefit worth mentioning is the roof terrace, accessible by a short stair from the loft, which allows you to relax and enjoy a glass of wine and experience the views and sounds of the city. 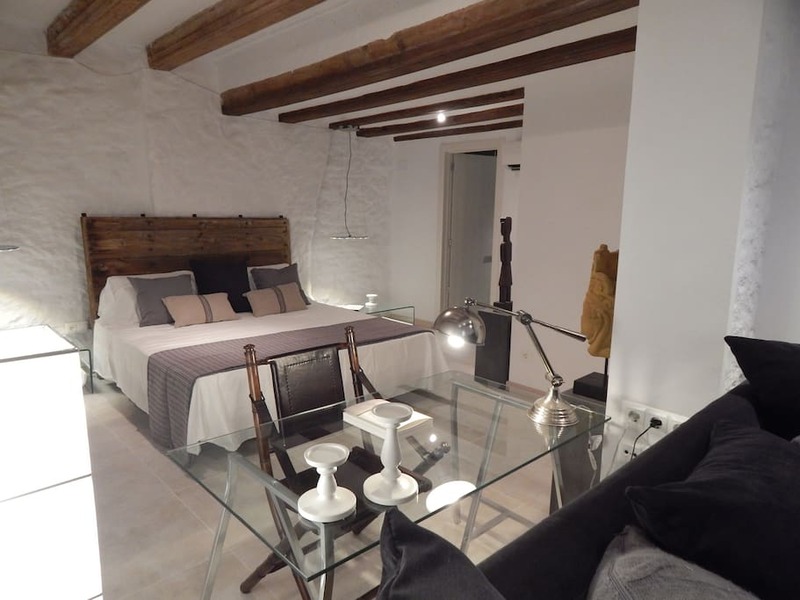 And the price of this amazing, intimate place in the middle of everything is a "you gotta be kidding me" $76.00 - $82 per night in April and May, which is the best time of year to visit this area of Spain. Santiago Calatrava, born in Valencia, is a multiple award winning architect who does not do small things or small buildings. His many buildings in Valencia testify to the expressive design grammar found in his work. In a country known for its great architecture, music and art, this collection of modern structures in Valencia offers a great way to spend a day experiencing some of the most fantastic architecture in Europe. The buildings included in this grand experiment in uber modern design, placed in a city that was founded in 138 B.C. shows, with unabashed exuberance, European designers' belief in the merging and blending of new and old, whether in the grand buildings found at The City of Arts & Sciences or an intimate apartment like the Loft de Lugo. Here's the thing. Spain is one of those places that really cannot be comprehended quickly. Its architecture, its art, its food and its culture and people can actually change you, if you pay attention and enjoy the ride. And Valencia allows that on multiple levels. So, if you go to the land of Cervantes, Picasso and Gaudi make sure you spend a few days in this beautiful art filled city. This week's travel quote is from the one and only Dave Barry - "Americans who travel abroad for the first time are often shocked to discover that, despite all the progress that has been made in the last 30 years, many foreign people still speak in foreign languages." And this week's Video is by one of the truly great jazz pianists and singers working today - Harry Connick, Jr. performing One Fine Thing, a song he wrote for his wife and sings to her in this video. If you ever get the chance, Harry is a must see performer - Amazing singer and a ridiculous piano player!